Phase 2 involves using the camera on your tablet to track your behavior. Have you been doing the assigned reading for your class? If you're using a textbook rented from CourseSmart , your instructor will be able to answer that question. Earlier this week CourseSmart, which sells digital versions of textbooks by big publishers, gave students a new reason to value anonymity. They announced a new set of analytics tools which will enable professors and instructors to see the reading habits of their students. CourseSmart Analytics is still in beta, and according to the press release it uses a proprietary algorithm which integrates usage data such as page views, time spent in a textbook, and notes and highlights taken by a student. All this data is incorporated into an overall assessment of students’ engagement with the material. The school's faculty will be able to access each student's data from the school's LMS (Blackboard, Moodle, etc) and identify which students need to be counseled on their unacademic behavior. Three US universities are running pilot programs this Fall and Spring semesters: Villanova University, Rasmussen College, and Texas A&M University at San Antonio. CourseSmart plans to make it broadly available in 2013. Creepy, no? Luckily for the students, CourseSmart has indicated that each student can opt out of having their info shared, though I am going to take that with a grain of salt. Today's news is particularly alarming when you consider the various pilot programs which CourseSmart has been participating in. 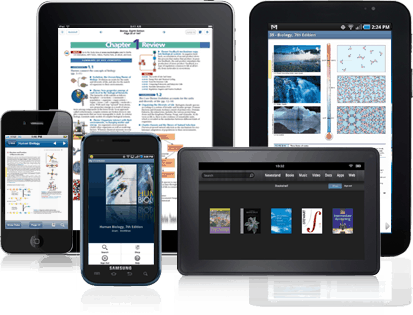 For example, CourseSmart is currently testing a new program called Subscription Packs, a flat rate plan for students to get all their textbooks via CourseSmart. That's going to enable a lot of spying if the program expands to include more schools. Well, no. It can’t actually tell whether the student has been doing the reading. All it can tell is whether the student clicked on the link and (as mentioned in the article) it’s getting that from the information that’s already collected by the LMS. For example, some students like to download all the reading assignments for the course all at once.